Oh, a muskrat. I don't think I've ever seen one. I knew it wasn't a beaver, but I had to read your list of labels to find out it's a muskrat. See you tomorrow. I have two posts ready, and will choose in the morning. Looks like he is just out for a peaceful swim. 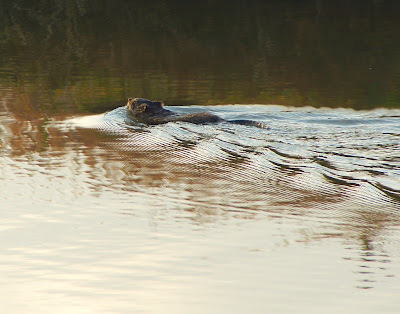 I've never seen a muskrat either. 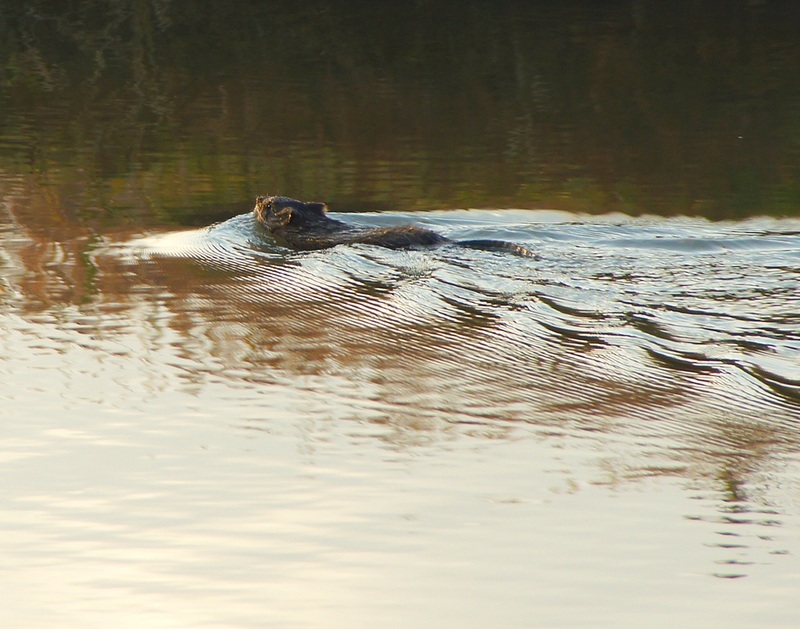 But I did see a nutria once when we were camping at Inks Lake in the Texas Hill Country. That is a great shot! I had to look twice to figure out what it was. I LOVE Muskrats!! They are so cool looking! You got an amazing capture here! !